Letters of recommendation are a vital element of every MBA applicant’s profile, because they provide a school’s admissions committee with its only truly objective insight into what the candidate has to offer. For this reason, recommenders can play a significant role in helping an applicant gain admission to his/her target business school, but only if the letters they write are credible and compelling. Fortunately, even though your letters of recommendation are technically in someone else’s hands, you still have some measure of control over them. Here, we explain where some of these opportunities lie—and where they do not—to help you navigate this portion of your application with less anxiety and better results. Sometimes, when applicants ask an individual to be their recommender, that person responds by saying something like “Just write whatever you want, and I’ll sign it.” At first glance, this proffered opportunity for complete control may seem like a gift. What a great way to ensure that your recommendation says exactly what you want it to, right? The truth is that this initially appealing option is just a mirage—not the recipe for effective letters of recommendation. The admissions committees want letters of recommendation that are detailed, personal, and sincere, and writing about oneself with objective, dispassionate sincerity is all but impossible for even the most self-aware among us. Moreover, because you lack that true “outside” perspective, you are likely unaware of—and therefore incapable of writing about—the many positive subtleties that set you apart from your fellow applicants. You are, of course, unquestionably aware of the many important functions you fulfill at work every day, the responsibilities you shoulder, and the accomplishments you have experienced. However, you are probably equally unaware of certain qualities you possess, lesser achievements you have facilitated, and more elective things you do that those around you find impressive, valuable, or admirable. These special qualities and contributions of yours can only be brought to light by someone other than you, and they are crucial aspects of authentic and powerful letters of recommendation. In short, if you write your recommendation yourself, these key bits of information will almost certainly be missing, and without you even realizing it! The recommender has an impressive title or is a senior member of the organization. The recommender is the candidate’s direct supervisor. The recommender is an alumnus/alumna of the target school. The candidate has been with the firm for only a short time. The candidate may risk losing out on promotions, bonuses, or potential salary increases by disclosing his/her business school plans. The supervisor is “too busy” to help and either refuses the request or tells the applicant to write the recommendation him-/herself. The supervisor does not support the candidate’s plans to earn an MBA degree. The supervisor is a poor manager in general and unwilling to assist junior staff. The candidate is an entrepreneur or works in a family business. If your direct supervisor is not an ideal candidate to write your letters of recommendation or you need additional individuals to provide such letters, consider alternative recommenders, such as a mentor, previous employer, supplier, client, legal counsel, representative from an industry association, or anyone else who knows you and your work particularly well. 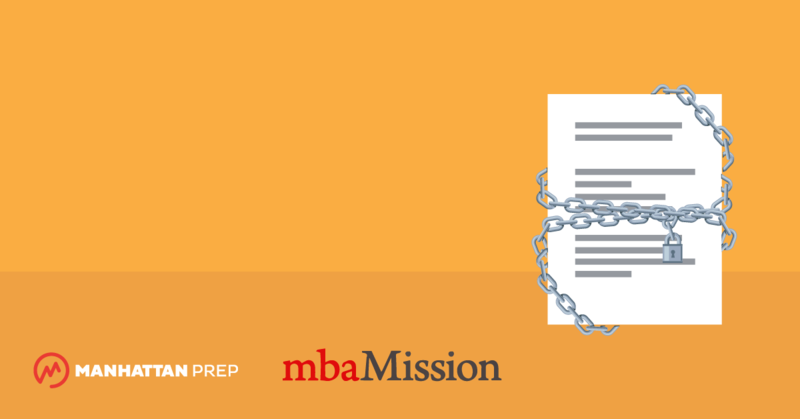 Then, submit an optional MBA essay with your application that briefly explains the nature of your relationship with this person and the reason(s) you selected him/her as a recommender. As long as you clarify your choice, the admissions committee will understand your situation. A common concern for candidates as their target application deadline approaches is that their recommenders will not complete or submit their letters of recommendation on time. We believe that the easiest way to ensure that they do so is to present them with a deadline you have set yourself and that is earlier than the school’s official one. For example, if you need to submit your application on January 25th, tell your recommenders that you must have their letters by the 18th. This way, even if one of your recommenders ends up being a little “late” with respect to the date you stated, you should still be able to obtain their letters of recommendation in time for the MBA program’s required deadline.